...that's called contrast folks (except that lift slide, that's just smooth). i just recently saw X-Men: Wolverine on DVD since having scene it in theaters. the special features which basically consisted of a "making of" the movie with Hugh was really cool. Hugh makes a great Wolverine and you can see how he is really devoted to the character. it's important to realize that Hugh was quite the on stage theater performer before he made it big time as Wolverine. doing musicals was big with him. i also saw him on an episode of punked in which they tricked him into thinking he burned his friend's house down while trying to start a BBQ. he's just such a genuinely nice guy unlike some other Australian actor you'll never hear about Hugh Jackman getting a D.U.I. stop and going off on some anti-Semitic rant. Yeah here in kiwi-land we knew of him before X-Men, not just for musicals but also TV. He has popped up in quite a few Australian dramas, including Blue Heelers, and Snowy River with Guy Pearce. When he was here in the South Island filming Wolverine some of my friends ran into him and were blown away b his down-to-earth nature. very cool. looks like we got a Hugh Jackman back ground story chat going on here. 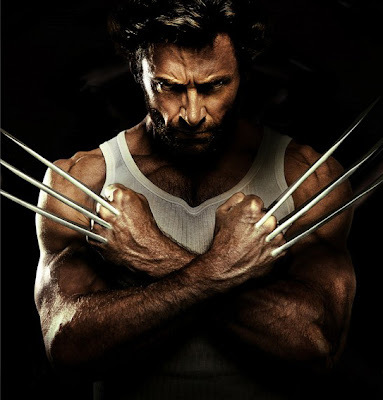 i also heard he's married to a woman 10 years older then him and that she originally didn't want him to take the Wolverine role for the first X-Men film for fear of him being type caste. i just hope he doesn't do any more crap like van helsing. Guy Pearce is another good actor even though i don't know much about the actor's personal life. he was awesome in L.A. Confidential which was part of what made that such a great movie. F.Y.I Dan, i saw a recent copy of Wizard at the library yesterday so yeah it's being published. but it's now in a magazine (staples-saddle stitched) style as opposed to that perfect bound format which has the pages glued into a flat spine.